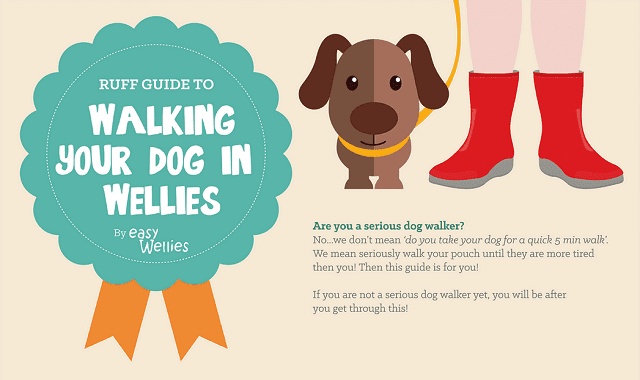 A Ruff Guide to Walking Your Dog in Wellies #Infographic ~ Visualistan '+g+"
These wellies are made for walking! Are you a serious dog walker? No...we don’t mean ‘do you take your dog for a quick 5 min walk’. We mean seriously walk your pouch until they are more tired then you! Then this guide is for you! If you are not a serious dog walker yet, you will be after you get through this!